Through eight generations over 35 years, the Buick Riviera two-door coupe was that brand's halo car. Starting in 1963 as a striking, almost hand-built luxury car, the Riviera was long, stylish, and a sign of achievement for its owners. Downsized in the Eighties and Nineties, it lost its way as Buick faltered and luxury coupes became less relevant in the prestige-car market. While the name has been revived for two separate concept cars since then--perhaps more accurately styling studies--there's little sign that it will return in the near future. The eighth and last generation of Rivieras, sold from 1995 through 1999, was a larger car than its predecessor, and it was fitted with some of Buick's most powerful V-6 engines for the day. 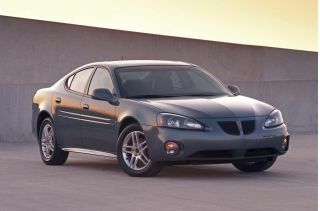 It shared underpinnings with other full-size Buicks, Oldsmobiles, and Cadillacs, using a 3.8-liter V-6 engine developing 205 horsepower--with an optional supercharged version that produced 225 hp, boosted in 1996 to 240 hp. That engine became standard in 1998, when Onstar was added. 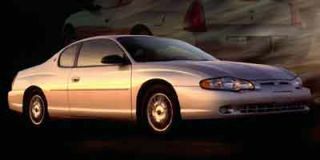 The 1999 model run was short, however, and the last 200 Rivieras built were painted silver and designated "Silver Arrow" editions--an old Buick name to mark the end of a model line. Its predecessor, the seventh generation Riviera sold from 1986 to 1993 (there was no 1994 model), may have been the one that killed the model for good. Severely downsized from the previous 1979-85 Riviera, it was small, upright, and plainly related to both the Oldsmobile Toronado and the Cadillac Eldorado, with which it shared a great deal of its styling. It was the first unibody Riviera, and the first to use a transverse engine, in this case a 142-hp 3.8-liter V-6 paired to a four-speed automatic transmission. The 1986 Riviera was noted for having the first touchscreen controls in an American car--a monochrome 9-inch cathode-ray tube mounted in the dash--but its small size did not find favor with traditional buyers. In 1989, a quick restyle added 9 inches of length, mostly in the trunk, but it didn't help all that much. The sixth-generation Riviera sold from 1979 to 1985 had itself been downsized, and was the first front-wheel-drive Riviera--sharing much of its mechanical setup with the Eldorado and Toronado for the first time. But a V-8 was still available, as it had been on all previous models, and this model did reasonably well. By far the most elegant Rivieras are the first-generation cars, sold from 1963 to 1965 and fairly quickly viewed as classics of their day. Styled by legendary GM designer Bill Mitchell, they were a decisive move away from overwrought Fifties flourishes to a clean, simple line with a surprisingly formal roofline. The distinctive third-generation 1971-1973 "boat-tail" Rivieras also have their fans. They can be mistaken for no other car, with a large fishbowl rear window and the tapering Sting Ray-like roofline literally coming to a point in the trunklid. 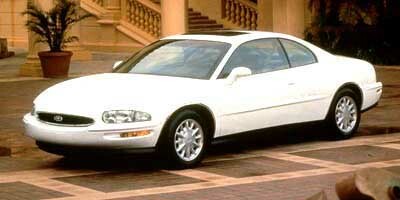 Those were the days when Buick used 455-cubic-inch V-8 engines, albeit putting out a mere 255 hp.